When I started using Neal’s Yard Remedies products, I definitely started with the basics. A three step (cleansing, toning, moisturizing) routine. (Maybe that’s why I love and recommend the skincare kits so much.) Plus a night cream that quickly became a favorite. But it didn’t take me long to branch out and try some more products that I had just heard others rave about. Wild Rose Beauty Elixir is definitely in this category. Wild Rose Beauty Elixir is an amazing, luxurious product that might also quickly become one of your favorites too. If you take the ingredients and the proportions, this product is made with 82% organic ingredients. I use WRBE after my toner and under another moisturizer. Look at that beautiful label! Sodium Hyaluronate – I am fascinated by this product. I wrote another post about it here. I love the nourishing ingredients. I feel like I am giving my skin a gift each time I use it. When I put it on my face it goes on so smooth. It’s like a little spa trip for my face. It adds moisture and radiance to my skin. I don’t use it every day. Or every night. I tend to use it more in the winter when my skin needs more TLC. But whenever I use it, I notice more radiance. Would you like a sample to try out a something for yourself? 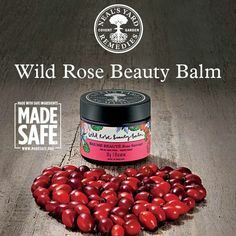 Or maybe you have already tried a Neal’s Yard Remedies product and want to read about how all the Wild Rose products compare?